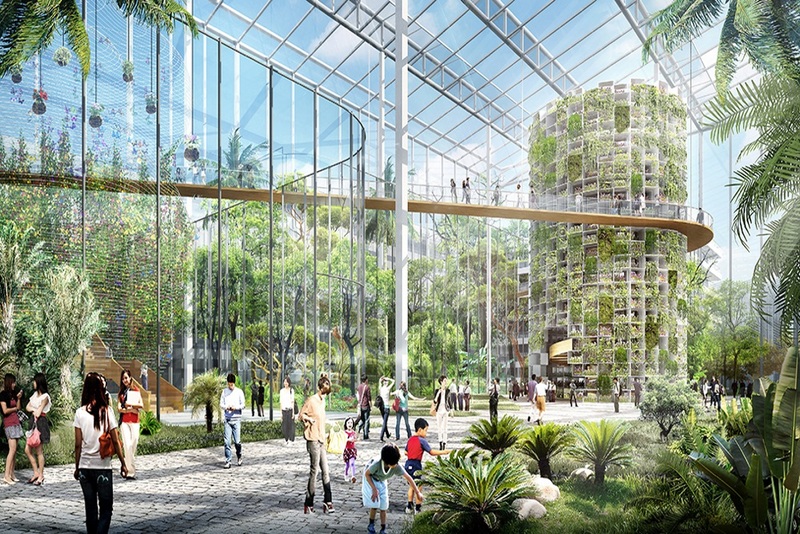 Sasaki, an international architecture company, has unveiled their plans to construct a 100-hectare urban farm called Sunqiao, Shanghai’s new urban agriculture district. This district has the potential to feed all of Shanghai’s 24 million residents. The district contains a variety of urban farming techniques, such as algae farms, floating greenhouses, and includes green structures the farmers grow their agriculture vertically. Along with farming, the Sunqiao district has public areas where visitors can freely roam and observe the food growing that gets sent to their local store for them to purchase. These public areas were intended to help educate future generations about where their food comes from and for residents to enjoy an afternoon walk alongside the vegetation. Construction for the Sunqiao urban farming district starts in 2017.